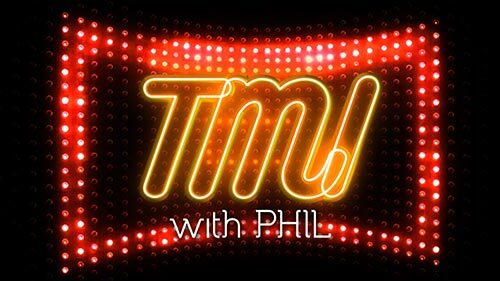 TMI with Phil, hosted by former TVSA blogger Phil Mphela, is a weekly talk show with celebrity features, lifestyle segments and entertainment industry commentary. It showcases stories of triumph and trials, and the business of entertainment and celebrity brands, as Phil gives Too Much Information. 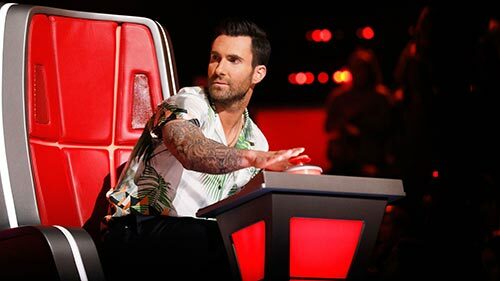 In the season premiere coaches Kelly Clarkson, Alicia Keys, Adam Levine and Blake Shelton all vie to discover and coach the next singing phenomenon from the country's best vocalists in the "blind auditions." A new feature this season is the introduction of the "block." The re-designed chairs have an extra set of buttons with the other three coaches' names on them. Coaches will have the opportunity to "block" a fellow coach during the Blind Auditions so that the blocked coach is unable to recruit the artist on their team. The WAGS franchise documents the luxurious lifestyles and real-life drama in the exclusive world of superstar athletes through the perspective of the women who stand beside them. These WAGS are playing the most competitive sport out there: getting and keeping that pro-athlete man. As part of an elite, exclusive group, the WAGS are close friends who are bound together by a strict hierarchy, unspoken rules with no boundaries and no filters and plenty of drama – and those who have the coveted ring and a husband with a contract are the ones with all the power. These ambitious, strong women are turning things up and turning on the charm as they work to make their own dreams come true. As in sports, this game is all about getting that “W” and this pack knows how to play the field. NOTE: this show was supposed to start last week, but didn't. Drama series which revolves around three well-known Boland fruit farming families - the De Bruyns, the Roberts' and the Van Rhijns - and the people who are drawn into their disasters, quarrels and scandals. Set behind the 'fruit curtain' in the Ceres Valley, the series lifts the lid on what is brewing in the Boland. Gradually, the secrets of the three land barons - Con De Bruyn, Boykie Roberts and Markus van Rhijn - are peeled off and exposed. Yeah, so pleading guilty to a federal offence because you wanted to take responsibility for every sketchy thing you may have done in your whole entire life is... maybe not the best idea? Still, you have to admire Rebecca Bunch for wanting to deal with the repercussions of the very long string of decisions - good, bad and alarmingly questionable - that she's made since she took flight from New York City and landed in West Covina three seasons ago. This year Rebecca is in some ways like a baby chick that's about to tumble out of the nest and in other ways she's that friend who is searching for enlightenment and kinda can't stop yammering about it. 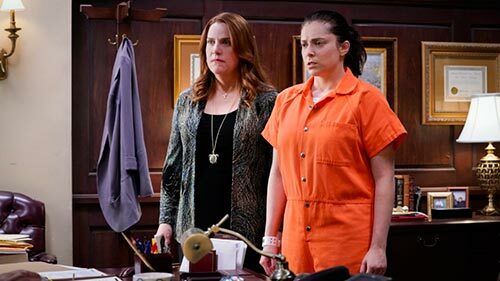 This season of Crazy Ex-Girlfriend has themes of redemption, recovery, responsibility, rebirth, renewal and reality and other words that begin with "R" will bring our ultimate "R", Rebecca, to the satisfying end of this chapter of her life.